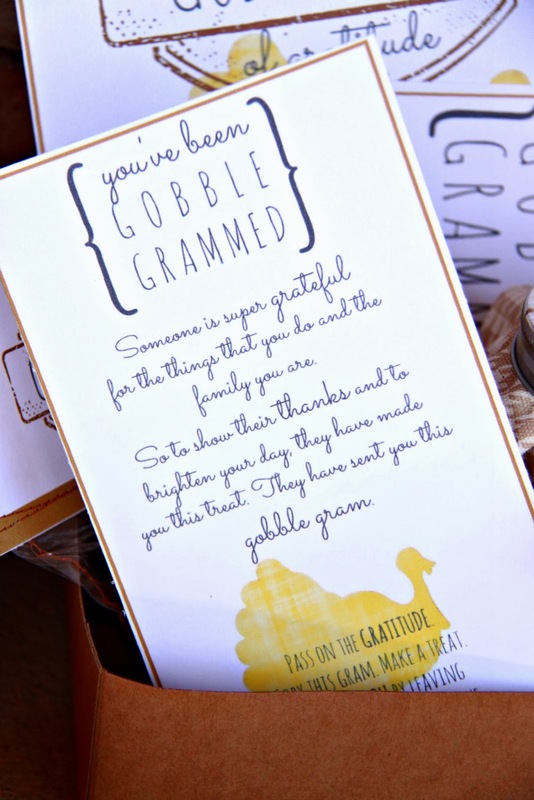 A few weeks ago, I shared the idea for spreading the thanks and giving out these Gobble Grams. 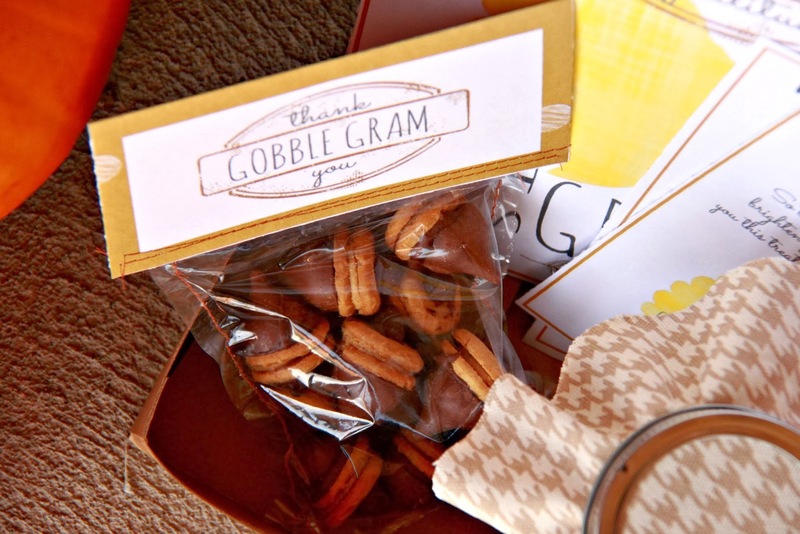 I shared how to make the Acorn Treat. There was also a GIVEAWAY for $100 Visa Gift Card, thanks to Clorox and their campaign to prevent sickness during cold and flu season. You can still go enter. 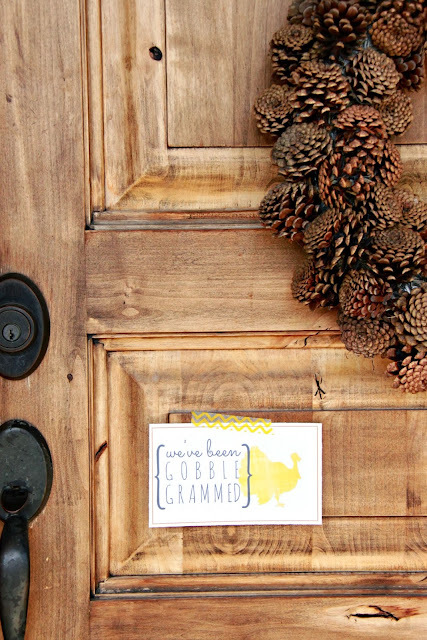 Now that we are officially in November and just weeks away from Thanksgiving, it is the perfect time to spread the gratitude in your neighborhood by passing a long these Gobble Grams. 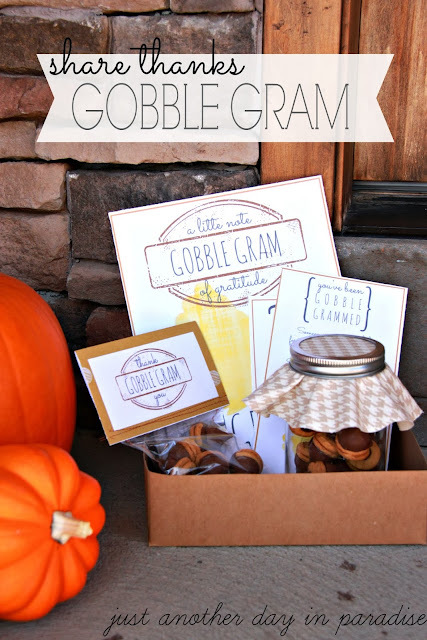 I made all of the Gobble Gram printables using PicMonkey. 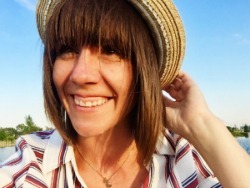 Seriously love that site. 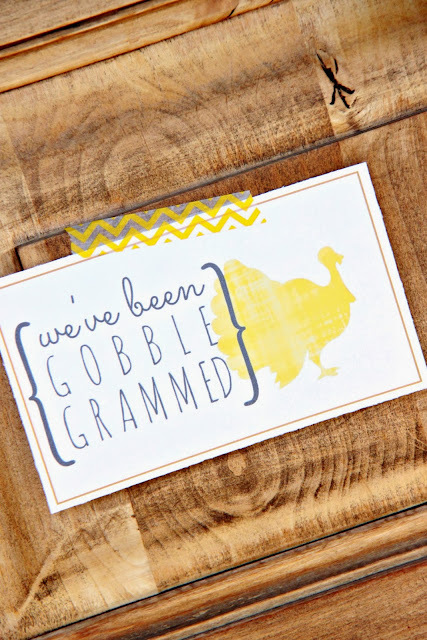 Today I am sharing the printables for everything you need to put together your own Gobble Gram. 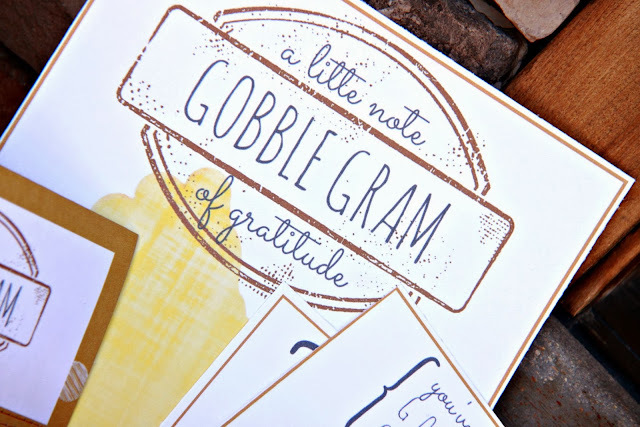 To spread the gratitude, first simply download the three Gobble Grams Printables. Print them off. Make a treat. Package everything up. Then get ready to watch the gratitude spread. It will be fun to see all of the doors in your neighborhood look like this. Pinterest, Facebook, Twitter, carrier pigeon, or smoke signal. Your Gobblegrams and gifts for your neighbors are so cute!